Where to start!! 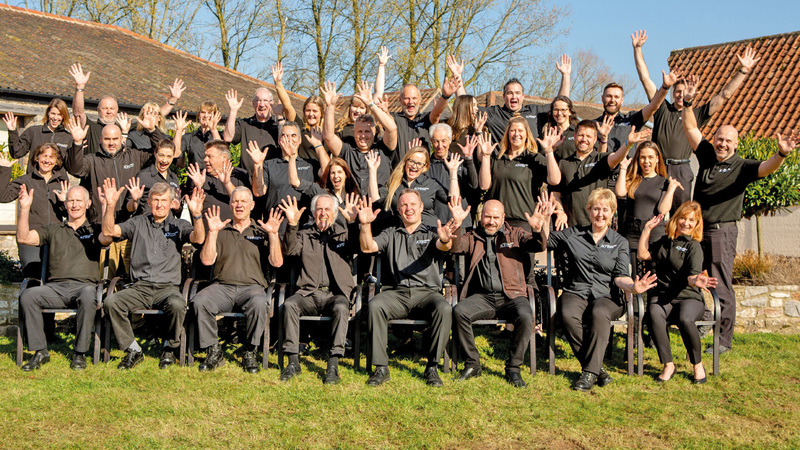 The Bristol based events company ACF Teambuilding & Events has had many strings to its bow with a mixture of success and tragedy changing the business over the decades. Today, it is renowned for putting on fantastic corporate events all over the UK and it all began in 1984 when quotes were still written on typewriters. The business located at Aldwick Court Farm was predominantly a pig farm at that time, but owner Chris Watts had a vision to turn the farm into a base for top notch corporate days out, and a combination of Clay Shooting and Quad Biking quickly became popular! Over the next decade more activities such as Archery, Laser Clays and the famous Military Vehicles were added to the mix, one of the barns was converted and the company became known as ACF Hospitality, a leading name in the corporate events market. In the 2000’s Inflatables for the amazing event ‘It’s a Knockout’ were also purchased, and the company began to offer events abroad too. In 2006 Mark Fanning joined ACF and grew the business further offering new and exciting team building challenges to clients. ACF began working with more venues in the area and made long standing relationships with a number of hotel groups. 2011 was a big year of change. Owner Chris Watts tragically died in a helicopter crash, and the remainder of the year was naturally an extremely sad and a tough time for his family and colleagues. Some difficult decisions were made but ultimately the company divided into 2 parts which are now known as ‘Aldwick Estate’ headed by Sandy Luck, and ‘ACF Teambuilding and Events’ ran by Mark Fanning. Aldwick Estate now produces its own wine label and offer wine tours, weddings and conference facilities. ACF Teambuilding has continued to grow its services focusing on the development of new and exciting team building activities such as The Crystal Maze, The Apprentice, Have I Got News for You and Mission Impossible (to name a few!) They are also experts in producing company fun days for thousands of attendees with a large amount of investment going into funfair stalls, more inflatables and games for all ages. Their Military theme is also still prominent with Military style missions being part of many of their team building events. One of their newest events see’s guests escaping Mr X as he hunts delegates down while they complete a combination of code breaking and hands on team challenges. 2019 will see more even more development, growth and new ideas. Watch this space for a Game of Thrones style event coming soon! Are you doing enough to support the mental health of your staff?